A couple of days ago, during the great SQL Unplugged live show, I have asked a couple of questions the leadership trio consisting of Shawn Bice, Nigel Ellis, and Rohan Kumar and was lucky enough to have them answered. The last answer came during the last seconds of the show when Nigel Ellis has mentioned that Azure SQLDatabase Premium Editions are not limited to the 1 core. He actually explained that ultimately we as SQLDatabase “consumers” should not care about the number of cores or anything else Hardware-related, and it make a lot of sense in a perfect world. The thing is that the world we are living is not perfect, and performance tuning is one of the most requested jobs in the database world, where any detail can lead to better understanding of the System and ultimately to the better performance. I decided to confirm the information shared by Nigel in the show and went checking on the different premium editions of Azure SQLDatabase. I decided to create a new Premium Database on Azure SQLDatabase and simply issue this query on different editions, analysing the results. Notice, that after the process is finished you will need to establish connection to your database directly, you cannot use the command USE TEST; in your current connection to make the switch to your database. This edition as expected and previously tested has only 1 core, as any other non-premium editions – which is what I was expecting. I wanted to see if the numbers mentioned by Nigel were correct and so I opened the properties window of my Test database and changed the edition from P1 to P2. After clicking on OK and waiting for some seconds I was ready to test my P2 Database. Just like Nigel mentioned for P2 – there are 2 cores (schedulers) available, which is really great and definitely need for providing all those DTUs that Microsoft is always talking about. Amazing – as responded in the show: here we are with 8 cores all available for work. 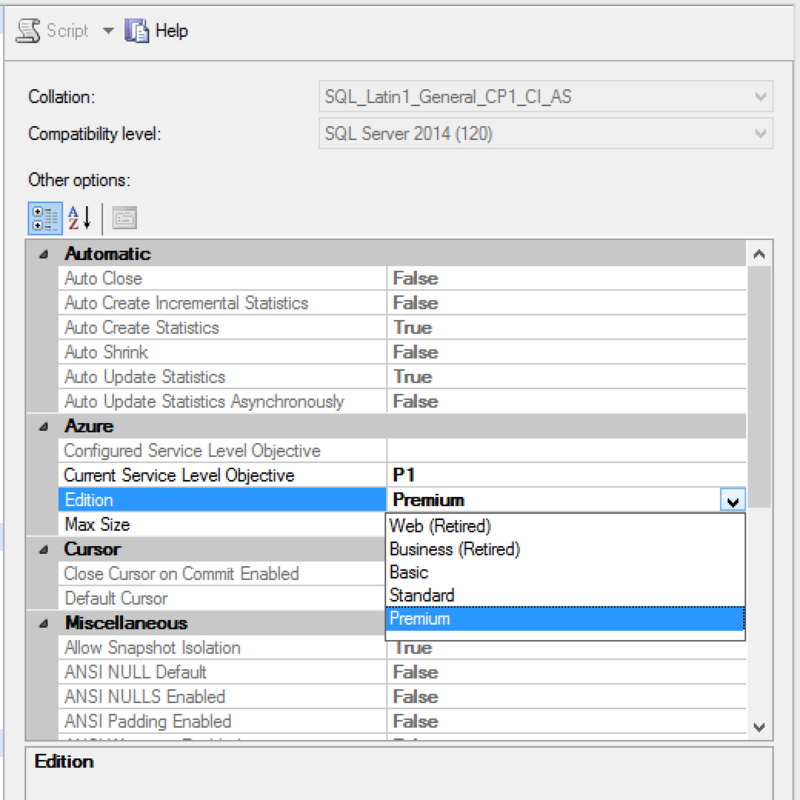 Some SQL Server optimization features depend on a parallel plan (> 1 core). Bitmap filtering is the main example.